In the Stormwind City park, near a lake, lives a human woman from the fallen kingdom of Gilneas named Celestine. I had heard of the so-called harvest witches, Gilnean pseudo-druids, but until the last few weeks had never seen any myself. Celestine of the Harvest graciously allowed me to ask her questions; to my surprise, she is affiliated with the Cenarion Circle and aided the efforts on Hyjal against the Firelands. According to Celestine, the harvest druids are not a strictly Gilnean tradition. The "old ways", as she called them, date back thousands of years to before the Arathor Empire (Note: ask a historian more on this subject; what is Arathor exactly?). The humans across the Eastern Kingdoms practiced a primitive form of nature worship with similarities to the most basic levels of druidism and were even capable of some magical plant growth. Needless to say, that was far more than I had honestly expected. The harvest witches largely died out due to the rise of the humans' current religion of the Holy Light under their first king, Thoradin, who united disparate tribes across the Arathi Highlands; as well as being taught arcane by our estranged Highborne high elf cousins. It was only the relative isolation of Gilneas that kept the practice from dying out entirely. The most interesting tale Celestine told me, however, was of the mysterious "Otherworld" and "Aos Si" (Note: Pronounced "ace shee", why are some Common words not pronounced as spelled?) According to Celestine, the Aos Si are spirits in the Otherworld, an ethereal realm that mirrors our own. 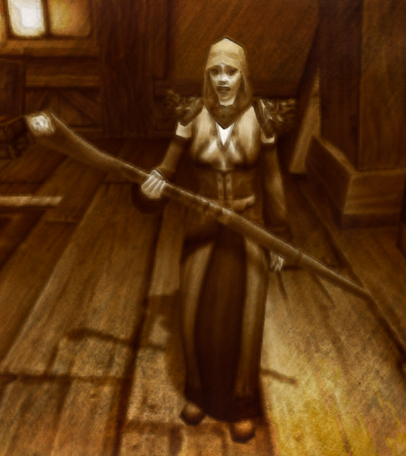 The harvest witches of old would use the magic of the Otherworld to grow crops, and on one occasion they even managed to save Gilneas from a famine. As for these Aos Si, some of their descriptions match creatures well known to those of us in Kalimdor. Celestine spoke of a race of little winged men who could be found singing in the forests to the north; is it a coincidence that fey dragons are known to appear in Tirisfal Glade, north of Gilneas? Celestine also spoke of little trickster wood men, which call to mind the sprites of Pandaria and Val'sharah, and spirits that aid travelers through the Blackwald who sound suspiciously like wisps. But perhaps most interestingly, Celestine spoke in hushed whispers of a powerful entity spotted only fleetingly in the Blackwald, dancing among the trees. The legends of her people speak of Cernunnos, a great horned forest spirit whose appearance was a sign of good fortune even if he vanished in the blink of an eye. Of course the first thing to come to mind is our Shan'do's own Shan'do Cenarius, Lord of the Forest, but while their names are similar the description of brief flashes without ever seeing Cernunnos head-on lead me to think more of Malorne the White Stag, Cenarius's father. All of this being said, it is my personal belief that the harvest witches were more like druids than even they themselves believe. The Otherworld bares many similarities to the Emerald Dream, as both are spirit worlds that mirror Azeroth and from which we draw our power. Somehow the mage Arugal was also able to access the Dream to pull Ralaar and his traitor druids out from their slumber, and limited knowledge of it through the harvest witches' Otherworld legends may help to explain that. 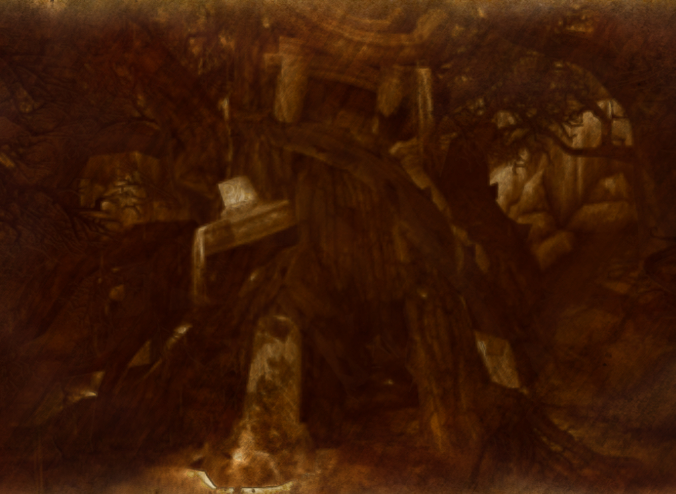 Harvest witches may not have started in Gilneas, but perhaps it is telling that the only land where this ancient human religion survived to the present day is also the location of a great tree with ties to the Emerald Dream as well. Tal'doren and Daral'nir, and the events surrounding them during the War of the Satyr, have made Gilneas a potent druidic nexus regardless of whether or not the Gilneans truly use the Dream. The twin bear gods, Ursoc the Mighty and Ursol the Wise, gave their lives in a legendary battle in the War of the Ancients, a battle that I had the fortune to see firsthand--though it was hardly something I considered a fortune at the time! They fell while defending their mortal allies; first Ursoc to the vampiric, magic-sucking felhounds, and then Ursol to uncountable demons in the midst of a rampage in revenge for his brother's death. A greater show of brotherhood there has never been. But it is said that long before their deaths the twin bears created mortal children: the proud, forest-dwelling warrior race we now know as furbolgs. Indeed, although furbolg cultures varies between the tribes in Kalimdor, Northrend, and the Broken Isles, the commonality among them all is their legends of the great bears. 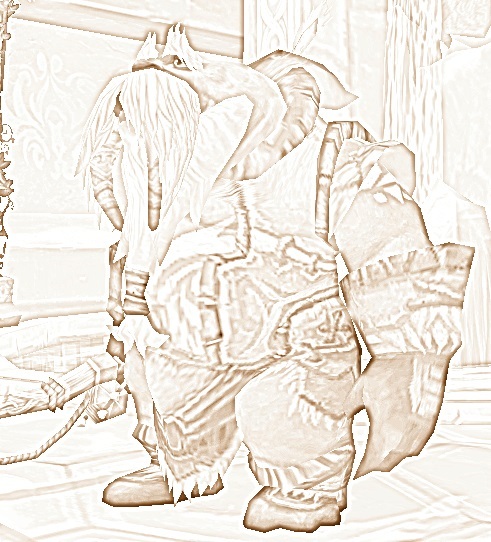 Notably, however, renowned dwarf explorer Brann Bronzebeard attributes the furbolg to Ursoc alone. Would that we could simply ask the great gods themselves, but Ursoc's spirit is still within the Dream and Ursol has been reclusive since his revival. Kode, a furbolg of the Stillpine tribe on Azuremyst Isle and my Shan'do in their language, spoke to me of the religious practices of his tribe, most of which are shared with the other furbolgs of Kalimdor, and the way Ursoc and Ursol have shaped their very culture. As with Ursoc and Ursol themselves, brotherhood is very important to the furbolgs. Furbolg mothers have two children and no more unless one of them is a daughter. The birth of twins is seen as a blessed sign from the Emerald Dream, which the furbolgs refer to as the "Gods' Den", and they say that twins are destined to become great leaders and heroes of the tribe. 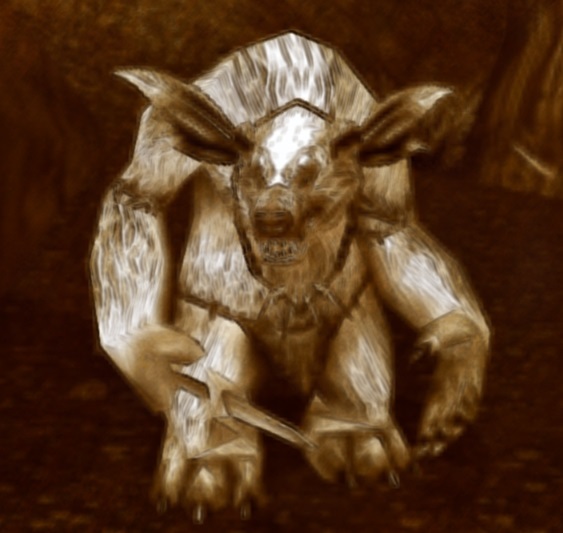 But twins or otherwise, furbolg brothers are at each other's side constantly and are chosen by the elders at birth for one to follow the path of Ursoc and one to follow the path of Ursol. The brother in Ursoc's path can become a warrior or hunter, while the brother in Ursol's path may choose drudisim or shamanism. Female furbolgs care for the young ones in groups, and if a furbolg chief has a daughter she is referred to as princess, such as Azuremyst's own Princess Stillpine. Furbolg religious practices are typically reserved for veneration of the twin bears, but also includes revering lesser forest spirits such as wisps. Furbolgs do have shamans, but while they do commune with the elements their primary focus is on ancestor spirits instead. One ritual I was able to see was one in which the head of one of Azuremyst Isle's great white stags was coated with honey and held in offering to Ursoc and Ursol amidst chants in the furbolg language led by High Chief Stillpine, chants with prayed for strength of the body and strength of the heart. A draenei who was also visiting the furbolgs at the time found it revolting. Kode tells me that all of Kalimdor's furbolgs perform the ritual, though of course a stag's head is not necessary as the offering. Winterspring's furbolgs use the brilliant white feathers of the region's snowy owls. The "strength of the body" and "strength of the heart" prayed for in the ritual are aspects that furbolgs prize most, and it is with those two aspects that the furbolg elders decide which brother will follow Ursoc's path and which will follow Ursol's, although Ursoc's followers will still have strength of the heart, and Ursol's will still have strength of the body. The Druids of the Claw likewise follow these two strengths. Ursoc's strength of the body is self explanatory: it is the power and swiftness of action. The bear's girth highlights its strength, as it is a ferocious foe in combat. The bear's girth, however, belies its lithe agility and sharp mind. Ursol's strength of the heart is slightly harder a concept to grasp. It gives resolve to take action that is rooted in intents that are pure and forthright. To have the strength of the heart is to show resolve, in the same way the mother bear shows endless conviction in protecting her young. Notably, while Kalimdor's and Val'sharah's furbolg tribes are close to nature and attempt to balance Ursoc and Ursol's aspects, Northrend's furbolgs do not. They are much rougher, and while they heed the words of those who walk Ursol's path they put much more stock in those of Ursoc's. Perhaps this difference in worldview can be attributed to the harshness of Northrend in the same way the taunka shaman were forced to command elements. But indeed, the Grizzly Hills furbolgs' preference of Ursoc over Ursol is such that they sought to revive the Mighty using the power of the fallen Vordrassil, a tree which we druids had foolishly grown long ago and then toppled when it became infected by the Old God lying beneath the continent. Yogg-Saron's black blood seeped into the tree which the furbolgs had long since made their home, warping their minds and sending the Redfang and Frostpaw tribes into brutal, violent wars with each other. But even with Yogg-Saron defeated, and even before his darkness had affected them, the furbolgs of Northrend were still much more savage than those I am more familiar with. At Ursoc's den in the northern hills, I witnessed a Redfang ritual similar to the Stillpine's, but with key differences. The worg they sacrificed was killed right on the spot with a razor-sharp claw slicing its throat, and it was coated not in honey but in its own blood. Still, this was not out of maliciousness of the tribe, simply their own custom. Notably, the ursine chants of their elder asked only for Ursoc's strength and not that of his brother's. During my time in Northrend in the war against the Scourge, I spent much time with the tuskarr due to an interest in their mythology. One tale in particular always stood out to me. 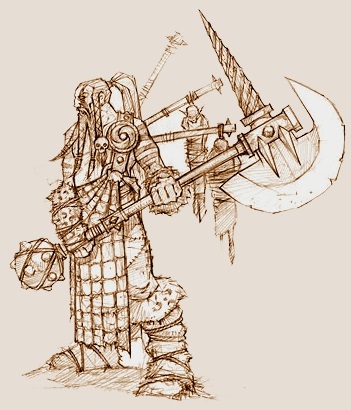 Tuskarr legends tell of the tuk-hariq, the "walkers of the fog." Seafaring raiders who serve Karkut, "he who watches over the dead". The tuk-hariq are always surrounded by a thick mist as they raid the tuskarr's coastal settlements and drag their victims into the depths, to Karkut's domain. For a long time I believed these to be about the naga and merely distorted by time as they were passed on through word-of-mouth. 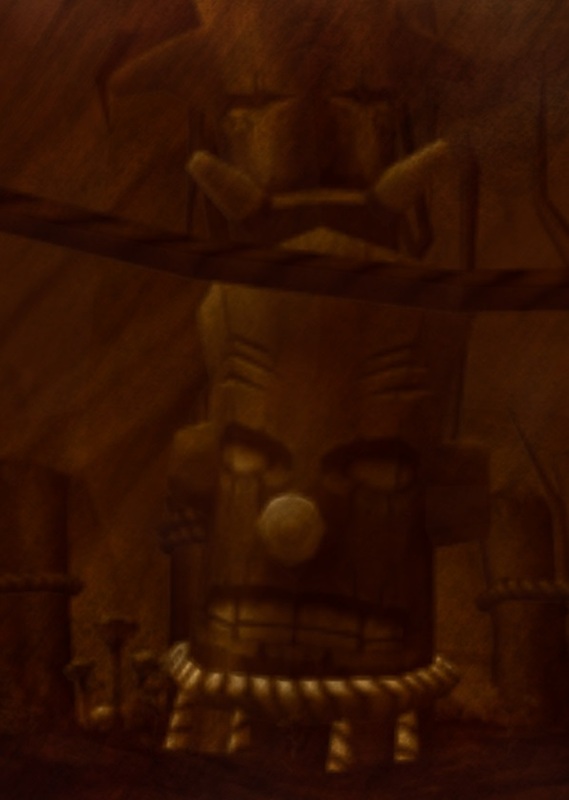 But all these years later, as we encounter friendly (or at least not outright hostile) vrykul on the Broken Isles, I have found striking similarities with the tuk-hariq in their legends. I had the chance to speak to one who had traveled to Dalaran to achieve glory in battle. Even as he complained about the ale served in the Legerdemain Lounge, he spoke to me of the vrykul's afterlife. According to vrykul legend, when the gods - either referring to the titans or keepers, I believe - created this world, they also created the realms of Valhallas, or the Halls of Valor, and Helheim. Unlike their human descendants, the vrykul afterlife is not determined by one's morality in life, but by their valor. Those who earn glory and die an honorable death travel to the Halls of Valor and become Valarjar to feast and revel in combat, while the unworthy are taken to the cold, misty depths of Helheim where they face a futile battle for unattainable glory for all eternity. While not immediately relevant to the topic of the tuk-hariq, I was reminded of the region of Icecrown called Valhalas, where the Scourge's vrykul fought to become members of the elite Ymirjar. Could the Lich King have been relying on, and altering, his vrykul minions' old legends to keep their loyalty? The part that caught my interest the most in this story was the minions of Helheim, the dread Kvaldir. According to the vrykul, the Kvaldir are unworthy and unholy minions of Helya, the ruler of Helheim. They raid the coasts in ships haunted by mists touched with the power of Helheim that allow them to manifest, and drag their victims' souls into Helheim in the cold depths of the sea. The similarities to tuk-hariq can hardly be ignored. My earlier belief that the tuk-hariq were naga no longer holds much water, in my opinion. I'm rather confident that the tuskarr legends refer to Kvaldir. The question then arises: why did they attack tuskarr settlements in Northrend when their focus would be on vrykul? Luckily for me, there was a tuskarr in Dalaran recently as well. Elder Clearwater overheard the vrykul and I talking and chimed in when I brought up the tuk-hariq. The tuskarr death god Karkut has no hard identity one can match him with of beings we know. The tuskarr associated him with the Lich King during the Scourge's prime, but as we can see with the tuk-hariq he also has similarities to Helya. According to Elder Clearwater, Karkut is in a constant battle with Issliruk, the silver eagle god of war and courage. Long ago, Karkut and Issliruk did battle, and Karkut turned many of Issliruk's followers against him. The tuk-hariq became avatars of Karkut's vengeance against not only Issliruk but all who would defy the dead, and when pirates stole from vrykul graveyards in the Howling Fjord, the tuk-hariq emerged on Northrend's shores. Also among the followers that Karkut stole from Issliruk were the winged "anernerk" who continuiously revive Karkut's undead soldiers. Following the link with Karkut and the Lich King, I reasonably assumed this was the tuskarr explanation of val'kyr. As soon as the word left my lips, the vrykul flew into a rage for daring to accuse "warrior maidens" of serving the "false god" the Lich King. When Elder Clearwater and I were finally able to calm him down he explained that the val'kyr are holy ascended maidens of the Halls of Valor, those who take worthy to become Valarjar. Like the Ymirjar and Valhalas, it would seem that the val'kyr legends were used and abused by the Lich King to keep his vrykul loyal. In essence, the Lich King became the vrykul of Northrend's replacement for the All-Father: their Valarjar now the Ymirjar, the val'kyr now angels of death. It is no wonder they revered him as a death god. Kul Tiras has a druidic order. As the war between the Alliance and Horde moves into the islands of the Great Sea, it was not battle but the above information that motivated me to travel to the isolationist human kingdom. The clamor of their capital city was not to my liking, but I found myself much more at home in the mountainous of Drustvar. The forests teem with spirits of the wild, and I swear that I nearly caught sight of Malorne himself as I climbed the slopes toward Ulfar's Den where this reclusive druid sect resides. The architecture of Kul Tiras reminds me of my time in Gilneas, and I was not surprised to learn that the island nation was settled by Gilneans. Upon learning that, I was also not surprised to hear from the Drustvar residents of the same mythology I had heard from the harvest-witches of Gilneas: "Otherworld" and "Aos Si". Terms which, as I have mentioned before, I believe refer to the Emerald Dream and nature spirits such as grell and wisps. I also heard tale of a brilliant white stag that stalks the woods. The Kul Tirans call him Athair. I believe he may be Malorne, if he is truly what I saw in the woods. Whether he is or not, what I am certain of is he is the same Cernunnos I heard the Gilneans tell me about several years ago. But my sense of ease in Drustvar quickly fell as I approached the western edge of Arom's Stand, the town located nearly in the center of the region. Alongside a Thornspeaker druid I looked down upon a twisted forest with an all-too-familiar sense of dread radiating off of it. According to the Thornspeaker, at the center of the forest rests the great tree Gol Inath, entrance to another realm known as Thros. According to the teachings of the Drust, Kul Tiras's natives and the originators of the Thornspeakers, Thros is a realm of whispers and torment. The ancient Drust wielded Thros's power to wage war with the humans, dominate minds of their enemies, and entrap souls in constructs. 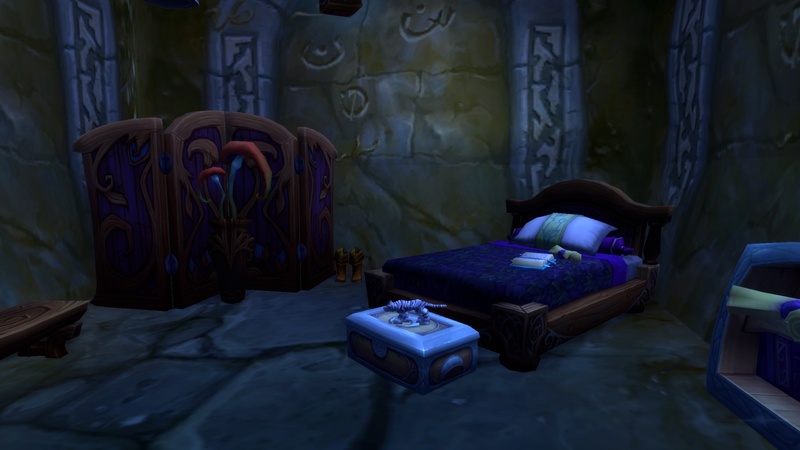 Legends from the humans of Drustvar say that Thros is where bad dreams come from, as it feeds on our negative thoughts. They say those who approach Gol Inath will be consumed by demons and spirits that emerge from the tree's roots, and use it as a warning to keep children from straying too far away from home. However, I know that sense of dread that I felt while overlooking the woods. 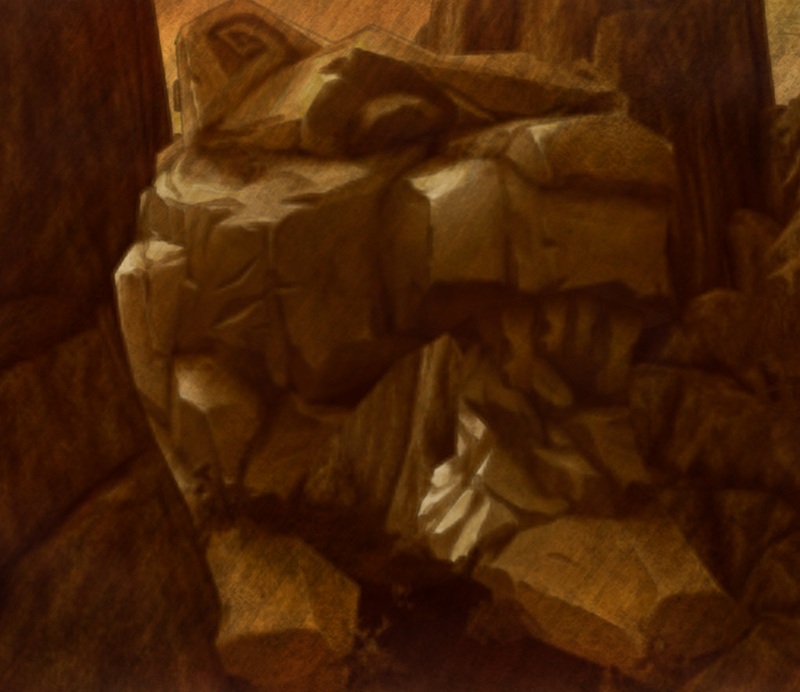 I have felt this feeling before, and even now as I sleep on the eastern slopes of the mountain I still feel it stirring my bones.It matters not what the Kul Tirans call it. "Thros". "The Blighted Lands." I will never forget that sensation no matter what name it goes by. The Emerald Nightmare is not only on Kul Tiras, it is a part of their very mythology.